Never mind the sinister Seli I oil bleed fouling Cape beaches and birds – what about the tide of fraudulently labelled olive oil oozing on to supermarket shelves? Dangers posed by the Seli I wreck are as nothing compared with threats posed by producers and marketers of adulterated oil, frequently sold as Extra Virgin. Ask Tom Mueller, author of Extra Virginity – The Sublime and Scandalous World of Olive Oil (Atlantic Books), who will soon visit South Africa. The book is simultaneously a hymn to the qualities of the sacred oil throughout history, and a furious denunciation of Big Oil villains. The South African oil industry is crying hallelujah in fervent support of Mueller’s exposure of the dangerous means and methods of doctoring oil, to the detriment of human health and teetering survival of artisanal producers. Extra Virginity is a fluent and pleasingly informed work of praise and blame. The range of literary references is erudite and apposite. And often poetic. Mueller, a Harvard and Oxford graduate, lives in Italy with his wife and children. He views olive oil obsession as an ancient condition, noting that Odysseus, haggard and salt-crusted after shipwreck, coats his body with oil and is suddenly transformed into a god. The pharoahs offered the finest olive oil to the sun god Ra; A meagre dash of lamp oil in the sacred Menorah lit the Temple at Jerusalem for eight days during its dedication, until more oil could be found. Talk of covering all constituencies. It is alleged that deodorising equipment has been seen in Spanish mills, where it is apparently used to remove dodgy flavours and off-putting aromas of inferior oils before they are sold off as extra virgin. 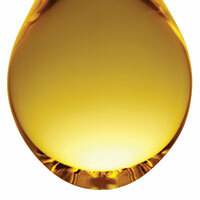 Heavily refined oils are often labelled “pure”, even when processing has stripped them of health benefits. Imaginative small-time crooks use colourants, including industrial chlorophyll and canola, the bottles patriotically adorned with Italian flags and false names of producers supposedly working in famous olive-growing regions. Mueller is not alone in his pure oil campaign. He tells of the head of a food cooperative who makes oil, at enormous risk, from groves confiscated from the Mafia. There are still monks making respectable oil from 1,000-year-old trees. Even villains who have grown rich making fake oil get sentimental about their childhood at the olive mill. But they have been getting away with their sins for years. A dedicated Italian corruption fighter tells Mueller: “My fight is a civic responsibility.” His mission is to protect the honest oil-makers who can hardly make a living in this distorted market, and the millions of consumers who are being deprived of the therapeutic properties of quality oil. Real extra virgin olive oil is said to contain powerful antioxidants and anti-inflammatories which help to prevent degenerative diseases like cancer. Mueller says bad oil is a crime against public health. The author includes South African consultants in his international thanks list. He lauds Guido and Carlo Costa of Paarl for their authoritative view of the country’s oil market, as well as for information on oil chemistry, the dangers of olive pomace oil, and the wiles of South African fraudsters. And there are thanks for Andries Rabie at Willow Creek, who spoke of growing olives at the extreme southern tip of the African continent, and of the spiritual resonance of making olive oil, which Rabie, a serious Christian, first imagined in a dream. Thoughtful Noseweek readers will doubtless be poring over olive oil labels with care in future.